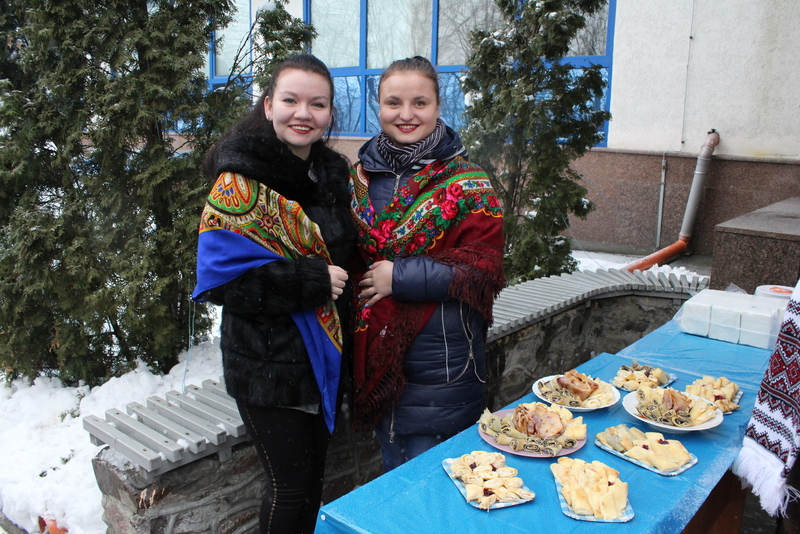 We congratulate you on the end of the cold winter and with our ancient holiday – Maslenitsa! 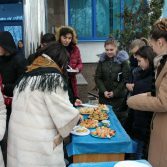 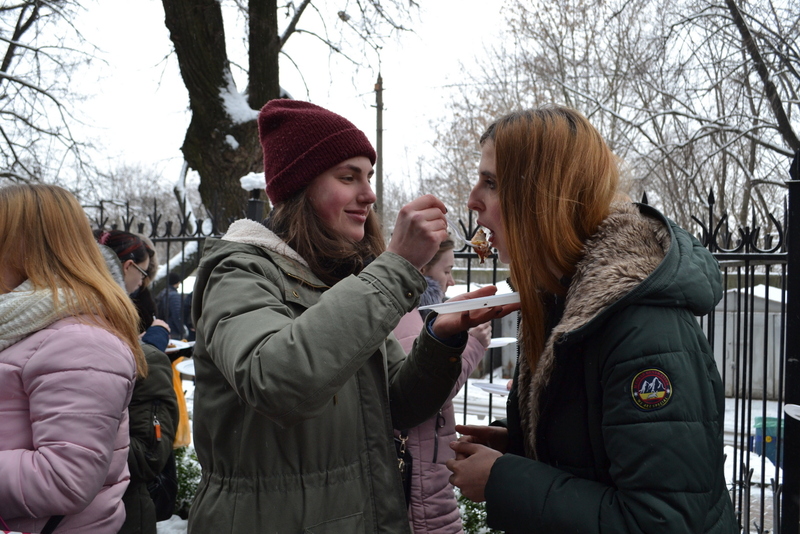 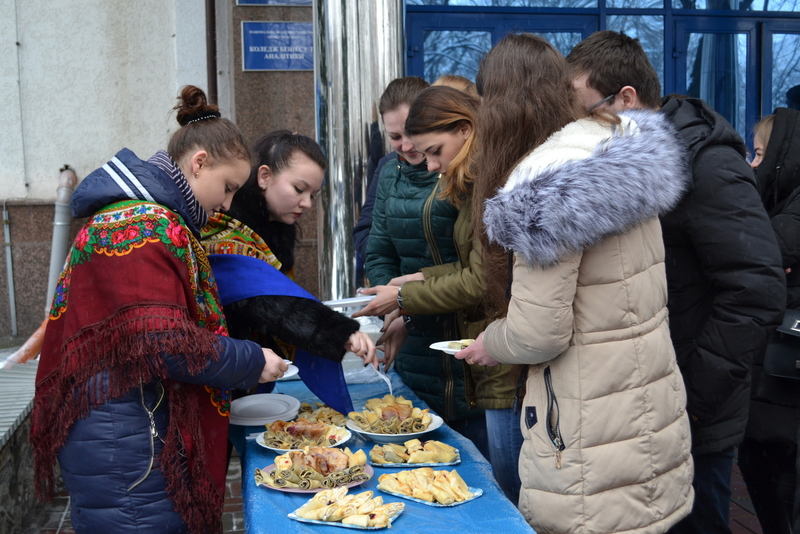 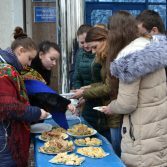 Maslenitsa is one of the most favorite holidays of our students. 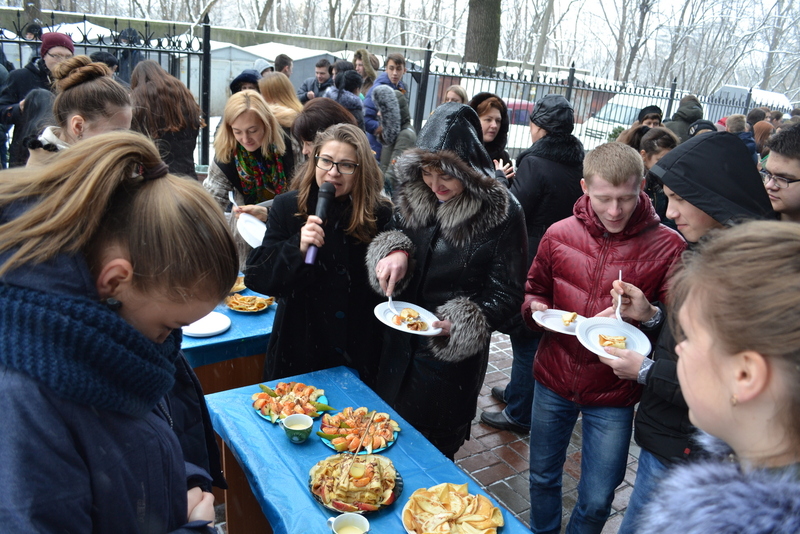 It is during the Maslenitsa that we send off the cold winter and meet a warm, sunny spring. 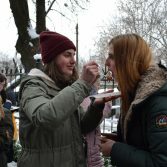 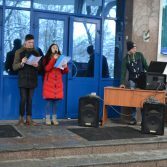 Following the tradition, this holiday was amicably and cheerfully passed in the courtyard of the Academy on Thursday, February 15, than doing some dancing and singing songs. 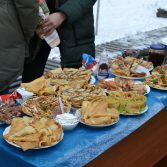 The tables were decorated with a variety of compositions of ruddy pancakes, which were baked by students of all groups. 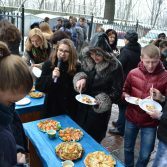 Particularly with their zeal and creativity distinguished – students of the College of Business and Analytics of NASAA. 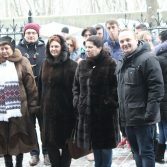 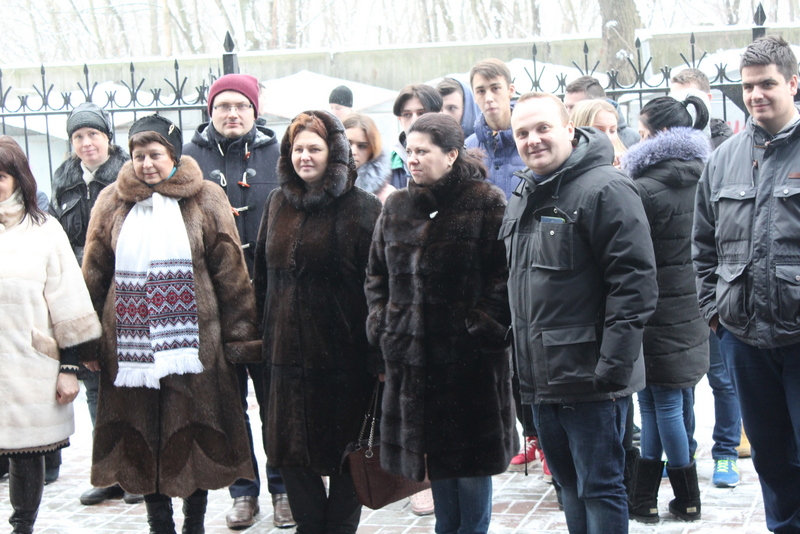 The teachers of NASAA, the pro-rector of the Academy – Lyudmila Momotyuk, the deans of the faculties – Viktoria Parkhomenko, Oleksiy Pylypenko, the director of the college – Oleksander Yurchenko, also took active participation in this festival. 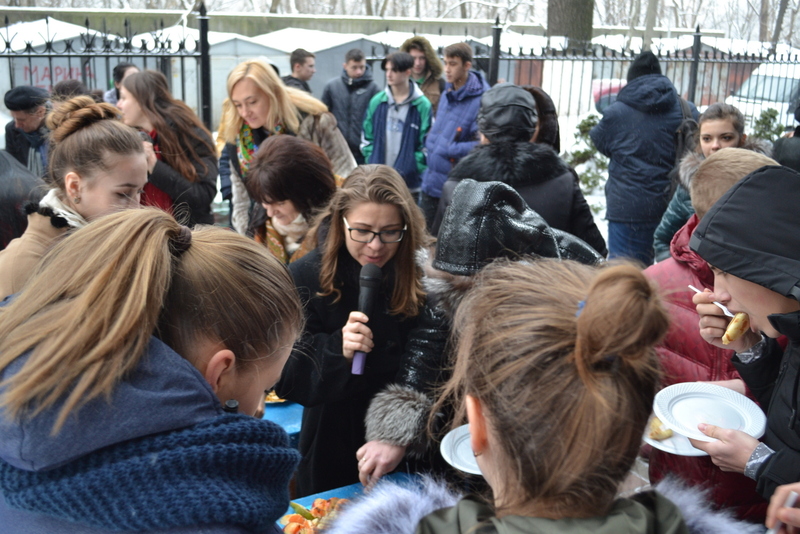 They baked delicious pancakes and treated them to students and teachers. 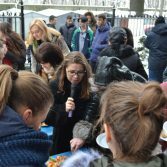 Teachers, students and staff of the Academy – enough to enjoy fragrant pancakes with a variety of fillings, praising and thanking the cooks. 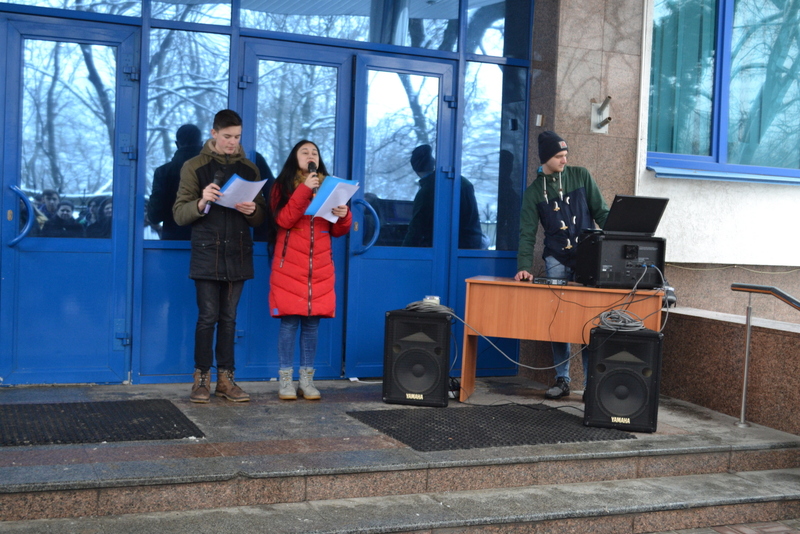 The holiday, of course, was fun, with songs and with sincere and cheerful congratulations. 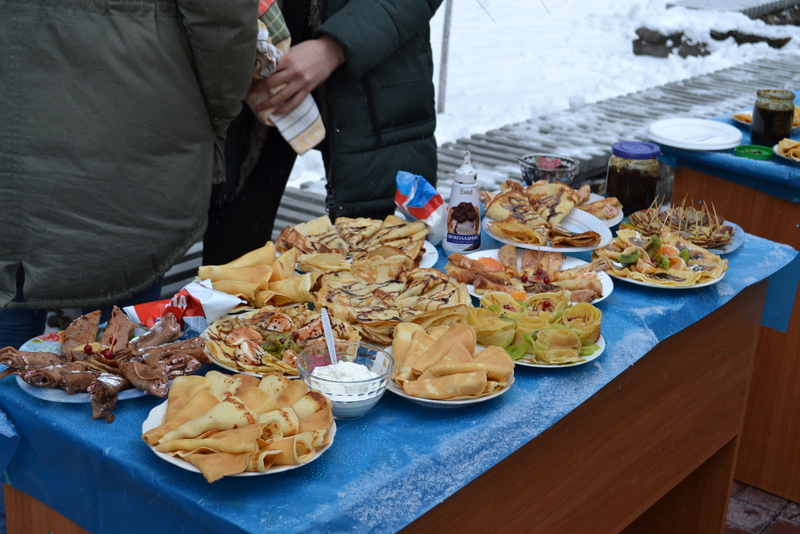 We wholeheartedly congratulate with the Maslenitsa! 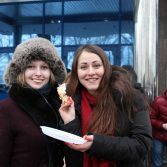 Let every pancake eaten by you in this delicious and tasty holiday, to fulfill your cherished desires! 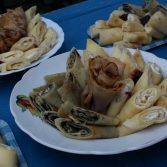 The first pancake – to peace, the second – to fortune, the third – to love. 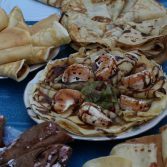 And then you need to eat a pancake for faith, understanding, health, loyalty, luck, loyalty, wealth and the fulfillment of dreams !!! 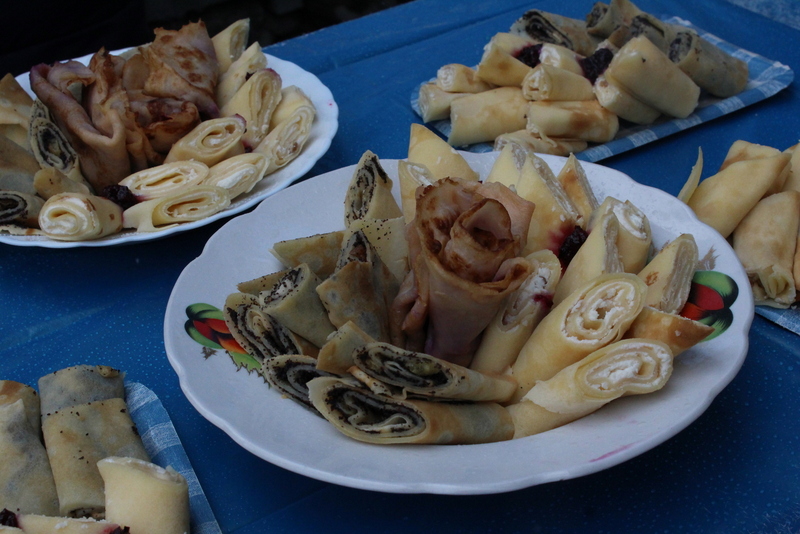 Let the Maslenitsa come to your house and stay there for a year! 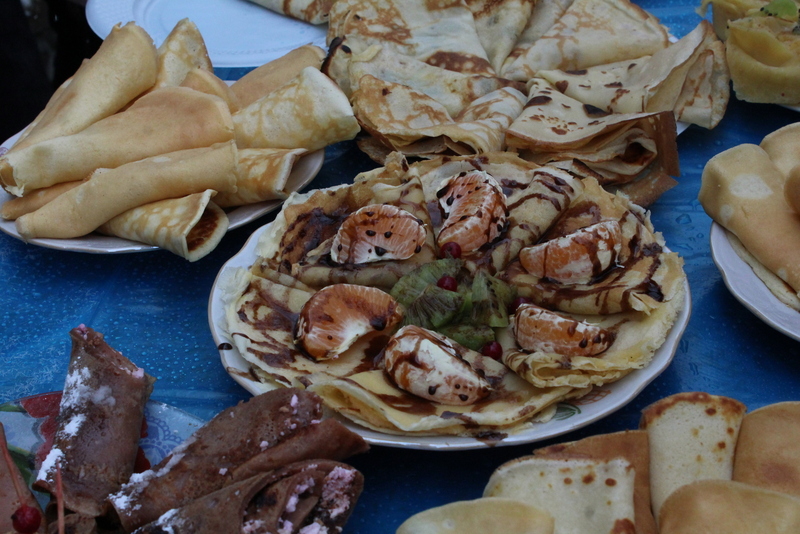 Warm sun, sweet pancakes, friendship and harmony to your families!